Jordy Liz Blogs: Just when you think you know love. Just when you think you know love. Today, I am featured over at Pencilled Daydream. I've loved getting to know Ashley over the last few weeks, so make sure to check out her blog. We are driving over to California in the morning to spend Thanksgiving with Chris' family. My last job left me in Arizona over Christmas, so we'd always go to Texas for Thanksgiving. This year, we are switching things up and I am excited to spend Thanksgiving in the west and Christmas in the south. I'm looking forward to seeing nineteen family members under one roof with eight of them being kids under the age of ten. I'm looking forward to filling this growing belly with delicious food (and leftovers). I'm looking forward to the drive to and from with my husband as this last week has been especially better than the many weeks preceding. I think like going from dating to engaged, engaged to married, and then newly married to married with a couple years under your belt, going from married on our own to married and pregnant is a transition we didn't expect to be at all challenging. I didn't expect to feel overwhelmed. I didn't expected to be anxious about finances and decisions. I didn't expect to feel the need to question everything. But like everything, this is new to us and we're figuring it out together. We're figuring out who the other person is in a brand new way and the role they are going to play come March. 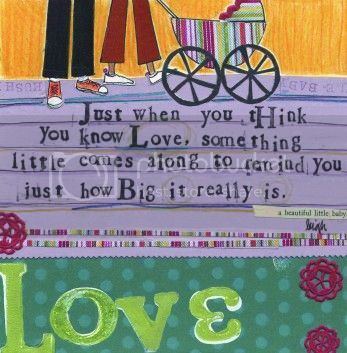 Because just when you think you know love, something little comes along to remind you just how big it really is. We're currently being reminded and stretched and trying to balance it all - our own selves, one another, and this baby. And I'm thankful I have all of that to balance. Wherever Thanksgiving finds you this week, I hope you have a safe and enjoyable holiday.